NORTH ARGYLL: One Swallow just arrived at Rhugarbh Croft, Appin – five days earlier than last year (Mary Gregory). A Greenshank and a pair of Wigeon at Loch Tulla, also 30 Sand Martins feeding low over the loch (Roger Broad). MID-ARGYLL: Both Willow Warbler and Chiffchaff singing at Lerigoligan, Ardfern this morning. 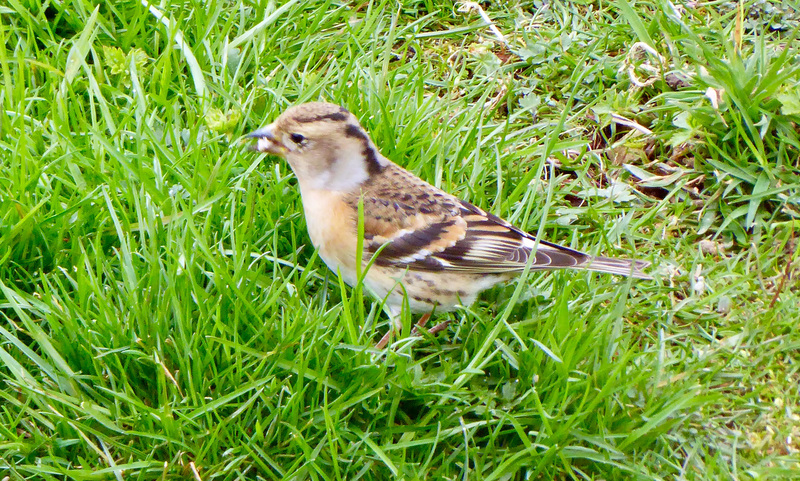 Also, a female Brambling feeding on sunflower hearts in our garden (Ju Randall). A Magpie today at Bellanoch around 11am (Annette & Roger Anderton). TIREE: 1 Willow Warbler and 5 Goldcrests at Balephuil, 1 Willow Warbler at Meningie, 9 Black-tailed Godwits and 1 Goldeneye at Loch a’ Phuill (John Bowler). 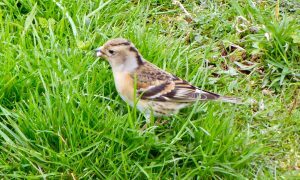 Brambling – Ardfern, Mid-Argyll 10th Apr (Ju Randall).